Most of us are used to classic wah pedal designs. For the longest time, they were the only options available. What I mean by this is that the majority of such units have a switch that must be activated in order to create the effect. Typically, they are located under the treadle so you have to depress it as hard as you can to turn the device on or off. At first glance it seems like a minor feature – something that would not make that much difference. However, that can cause a number of problems: not pressing hard enough and utilizing wah in places you did not intend to is the simplest example. Luckily that tendency is being changed. Morley has incorporated switchless treadles in many of its devices. Steve Vai Bad Horsie 2 falls in the same category of pedals. You will not know how much difference it makes unless you stomp it. But once you do, there is no going back. If you want to give such an amazing innovation a try, then stay with me so that you are fully aware of the capabilities Steve Vai Bad Horsie 2 possesses. Many musicians are suspicious of the signature pedals, since sometimes they can be overhyped and overpriced. But more often than not that is not the case. When guitarists themselves participate in designing an effects pedal, they make sure that they are ready for gigs, rehearsals and basically any scenario. They know how units should treat your sound and try to incorporate that knowledge in the circuitry. That is the main vibe of Morley Steve Vai Bad Horsie 2. It focuses on the signal clarity and maintains the definition at any settings. It utilizes Electro-Optical design which substitutes the pots and, thus, enhances the longevity of the unit. You do not have to worry about short lifespan of the good ol’ potentiometers. As I have mentioned already, this pedal does not have the switching. You simply have to step on the treadle and you will be able to hear the effect immediately. And that is the perk you will appreciate more than you think. What is more, Steve Vai Bad Horsie 2 operates in two different modes: Bad Horsie offers classic Vai sounds, while Contour mode allows you to shape your wah the way you want. It runs on a single 9V battery or a power adapter. It does also have True Bypass, which ensures tonal integrity and maintains the purity of your guitar (or maybe bass or keyboard). 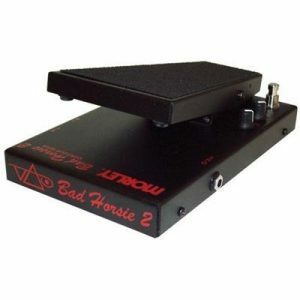 Steve Vai Bad Horsie 2 is built with rugged cold-rolled steel, which will keep the pedal by your side for a long time. Even though you might not enjoy its size, that bulkiness will not matter once you fall in love with all the features of this bad boy. I doubt that wahs can get any more convenient than that (but who knows, everything is possible these days). 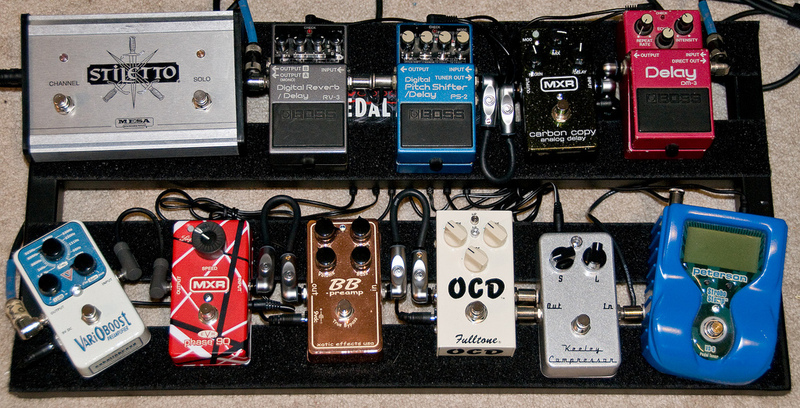 For some reason, wah pedals have always been the most “control-less” effects units. Even though distortion, delay or chorus stompboxes had numerous knobs to work with, wahs were kind of neglected and deprived of those possibilities. But that is changing more and more and Morley is one of the brands that contributes to that a great deal. Steve Vai Bad Horsie 2 does not have ample encoders but its controls are more than enough for most guitarists. Let’s see what are their capabilities and how exactly they alter your tone. There are only three things we will have to discuss here. The first one is the switch, that allows you to select the desired mode. Just by pressing it, you will be able to move from Bad Horsie to Contour or vice versa and experiment with different sounds. The second and third operate only in the Contour mode. Level changes the volume of the overall output (obviously) and allows you to balance it out according to the rest of your chain. Last but not least, Contour adjusts the wah frequency and lets you tailor the sweep to your taste and desire. Not only do you have enough control here, but everything is also rather simple to modify. Do you know when things really go into high gear? When all those features, the convenience and flexibility of the pedal meet with unworldly sounds. Yeah, you heard me, Steve Vai Bad Horsie 2 is tonally versatile and offers a wide range of sonic spectrum. It was designed to create both clean and gritty sounds and, thus, accommodate the needs of every musician. You can easily go with the Bad Horsie mode and enjoy Steve Vai recipe, which is comprised with perfect wah flavor. But if you want to create something of your own, the Contour mode will give you all the possibilities. The sound of this pedal has modern character, which can be diversified with traditional touch as well. It is always nice to have access to the sounds of our beloved musicians – those we grew up to admire. The ability to experiment with their experience pushes you to work harder and take their units to new levels. Steve Vai Bad Horsie 2 is noiseless and does not have any audible jumps and drops in volume. It is the combination of all these sonic features that makes this pedal so unique and distinctive. Once you start playing with Morley Steve Vai Bad Horsie 2 you will regret every minute spent without it. This convenient and flexible pedal will accommodate all your needs. Its innovative switchless design makes the playing process even more enjoyable. We should always value the tradition and vintage units, but we should also appreciate the metamorphosis musical equipment undergoes. Such newer steps make everything more interesting and exciting. If you can, get your hands on Morley Steve Vai Bad Horsie 2. And I guarantee, you will never want to go back to those old units with footswitches. Good luck and let the wah change your life!